Feasibility or pilot testing often can determine the most cost-effective engineering solution to achieve regulatory mandates. Proper pilot testing can also reduce costs. 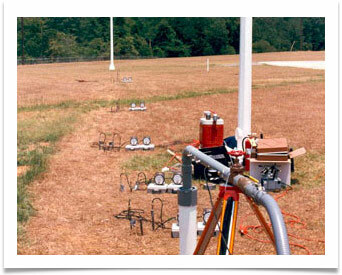 Properly designed and implemented, pilot tests can determine the most efficient, but cost-effective, solution for a site. Pilot tests are designed to generate reproducible and scientifically defensible data for use in our engineering designs. This approach results in engineering solutions that work the first time and eliminate costly follow-up repairs and modifications. Complex projects may require pilot tests of varying focus and scale to formulate design parameters, to optimize the design, and to evaluate constructability before determining the efficacy of an engineering approach. Another tool IST often employs is a numerical or analytical model(s) to make predictions about potential engineering solutions based on the results of our pilot testing.